Lunchrooms, lounges, training rooms or general purpose – whether you need a small table with seating for two or tables to fill an auditorium, we have the table options and finishes you are looking for. We offer a wide variety of standard shapes to choose from – round, oval, racetrack, boat-shaped, rectangular, and square tops. Need an odd size or shape? No problem! 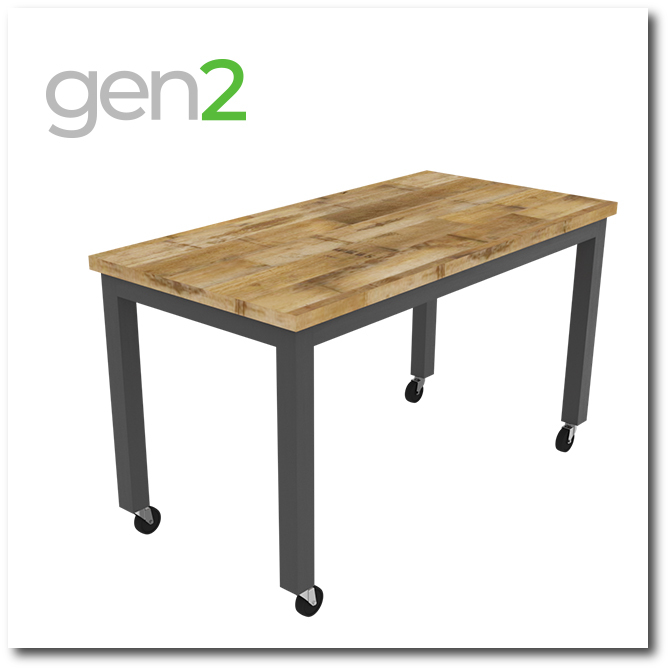 As the manufacturer of gen2, we are happy to custom make your tables. Select a base to support your top: T-legs, X-shaped, pedestals, posts, H-legs, C-legs, cylinders; with casters or without; we have most of the styles available on the market today, we can even add storage underneath. Click on the links below to find out more about our table options.